← Cloud Computing is Coming to End? Dear Business Rules Vendors and Consultants! Consider the following situation. 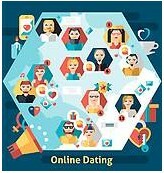 You have been approached by an online dating service that wants to use a rules engine to improve its process for matching people. A brief explanation of “business logic” behind their online dating services is described at our March-2017 Challenge. You need to build a working prototype to win their business. If you can do it, prepare and submit your solution ASAP. The winner should be determined by April 30.